Bring Mechanics to life with our great equipment. 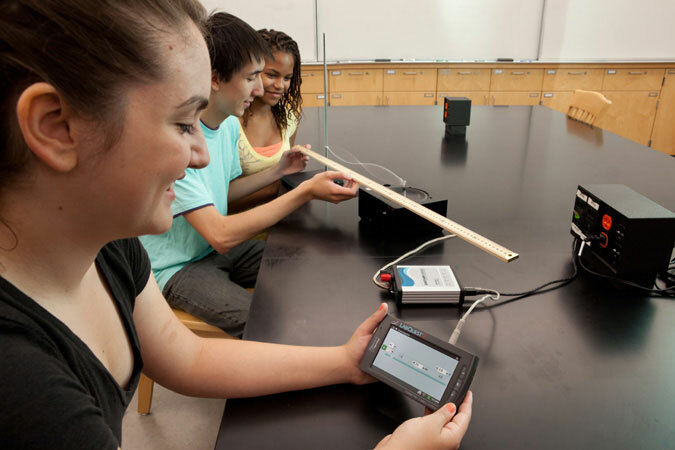 The Vernier Motion Encoder System is a revolutionary way for physics students to study dynamics. Based on our original Vernier Dynamics System, the Motion Encoder System adds a new optical motion encoder to record cart position. The Optika Air Blower is quiet and its speed can be continuously adjusted. Complete with 1.5m hose and 220V power supply.